This one will be short and sweet, or hot and sour, depending on how you look at it. *smiles* I’ve been sitting here the past few days coughing my head off, attempting to nurse myself back to health, and at my wits end with a Rudolph nose. A good friend suggested to me that I should have some Hot and Sour Soup. They said it’s always helped them when they were sick and should do the same for me. 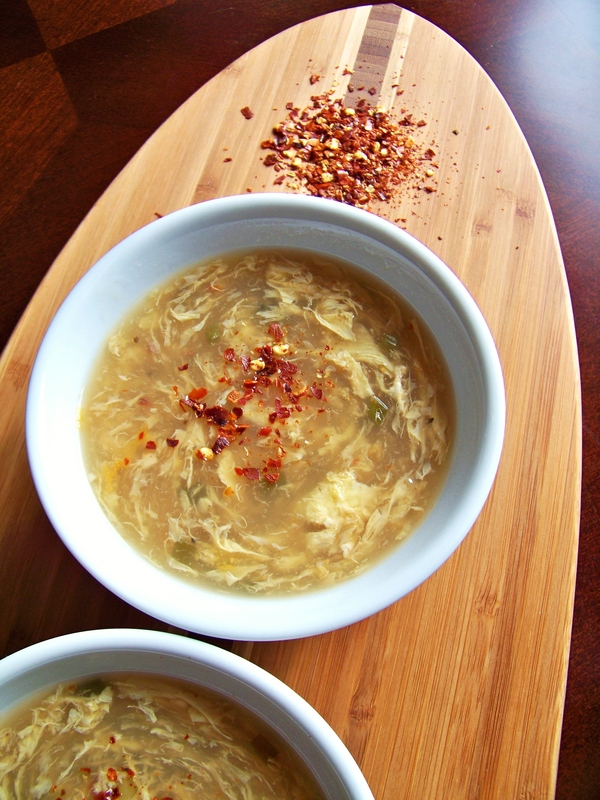 So, on to the easy Hot and Sour Soup recipe hunt I went. I don’t normally have to go far for an easy recipe. 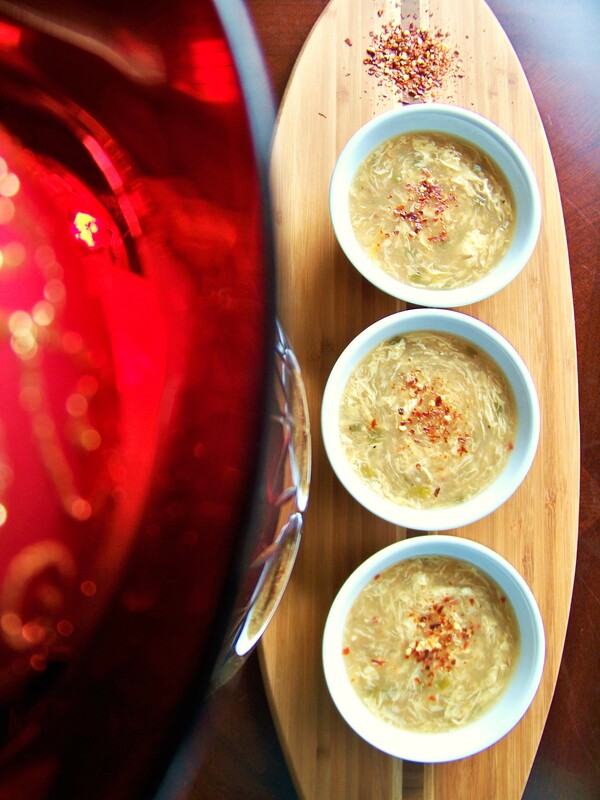 I go to my Smart Phone App or online to All Recipes, and type in “easy hot and sour soup”. A few different ones came up, and I thumbed through them to make sure I had all of the needed ingredients. In the end, the one I found was quite easy and quite good. 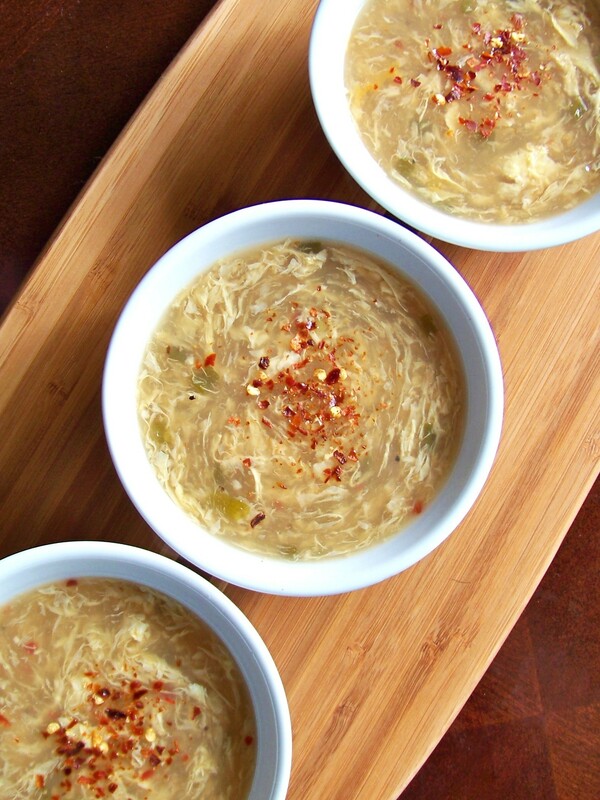 Next time you’re feeling under the weather, try this recipe…it just might help. I didn’t do the recipe below to specs, because I didn’t have bamboo shoots and mushrooms. I also opted not to use chicken to have more of a broth, so I eliminated all of the steps and ingredients relating to the chicken prep. I also ended up putting quite a bit more red chili flakes in it than it called for, because I like it hot! 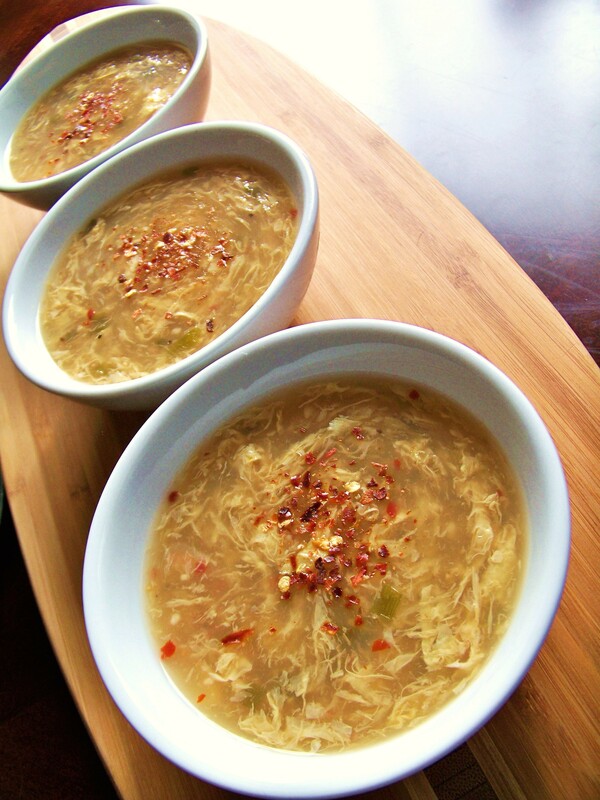 In a saucepan, combine the chicken broth, water, mushrooms, bamboo shoots, ginger, garlic, soy sauce, and hot pepper flakes. Bring to a boil, then reduce the heat to low, cover and simmer while you assemble the rest of the ingredients. Place the chicken slices into a bowl and toss with the sesame oil to coat. In a separate bowl, stir together the cornstarch and vinegar, and set aside. Increase the heat under the broth to medium-high, and return to a rolling boil. Add the chicken slices. Return to a boil, and then drizzle in the egg while stirring slowly to create long strands of egg. Stir in the vinegar and cornstarch. Simmer over medium heat, stirring occasionally, until chicken is cooked through and the broth has thickened slightly, about 3 minutes. Serve garnished with green onions (I put the green onions in the soup broth while it was boiling) and cilantro. Next Post BEC Breakfast Pouches–Perfection! Lovely presentation indeed. I got my love for hot and sour soup in the Orchid restaurant on Dublin’s Pembroke Road over 20 years ago. I have cooked it many times and I love the way it always turns out different. Great stuff indeed. Thank you so much, Conor! Ireland is one of my dream vacations, and I certainly can’t wait to make it there one day. Do you have a certain recipe that you love and use? My list would be very like yours. Some peas, thinly sliced strips of ham and whatever is left in the bottom of the fridge usually ends up as part of the mix. Ahhhh…peas would have been a perfect touch! However, I think I used them all in the Chicken Noodle Soup I made Monday. Must put that on the grocery list. Hot and Sour Soup is my favorite! If you weren’t so contagious, I might just come on over there and get me some! Love you and hope you feel better! I like my food spicy, too. We here at Hickory Shade have been under the weather the past two weeks it seems, so this may be something to make tomorrow night. I hope you enjoy it if you make it. I’m sure you have some tofu to add to it. :) Feel better!